A drug dealer who claimed to be “untouchable” in taunting messages to the police when on the run abroad is starting a 12 year sentence behind bars. Judge Nicholas Dean QC said it was “remarkable” that Khan, having been arrested at the end of the pursuit, and also found in possession of cannabis, was released on bail the next day – because he then went to Pakistan and failed to attend court, in January 2017. 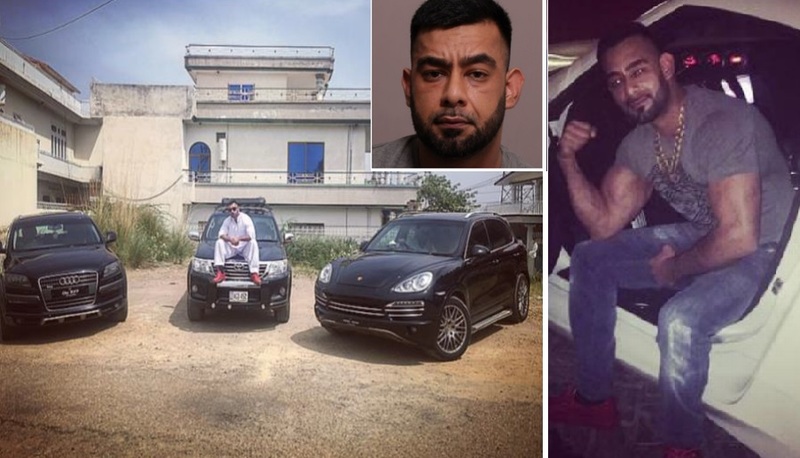 However, he proved to be far from “untouchable” when the police swooped following his return to the UK, in April last year, reports Leicester Live. While on remand in jail he was caught with a “miniscule” mobile phone he had been using to make calls from his cell, said John Hallissey, prosecuting, at Leicester Crown Court. He said it was “miraculous” no-one was killed in the high speed police chase. Judge Dean said: “It was remarkable you were given police bail (in December 2016) but you were and you absconded. boasted about your activities; I take the view most of it was boasting or untrue.